Every May 5, or Cinco de Mayo, is an outstanding day to raise a glass to the Mexican army's surprising victory in the Battle of Puebla (not Mexico's Independence Day, which is September 16). This year, of course, is no exception and a bevy of popular restaurants are celebrating the occasion by making burritos and margaritas cheap enough to eat and drink all day long. With that said, we put together a handy list of national restaurant chains offering food and drink deals for Cinco de Mayo -- in a rare year in which the holiday lines up with the Kentucky Derby. You may have trouble choosing between discounted margaritas or micheladas versus mint juleps to celebrate, but you'll have no trouble getting your hands on super-cheap tacos, burritos, and more. The deal: Grab five soft shell beef tacos for $5.55 to celebrate the fifth day of the fifth month of, well, 2018. 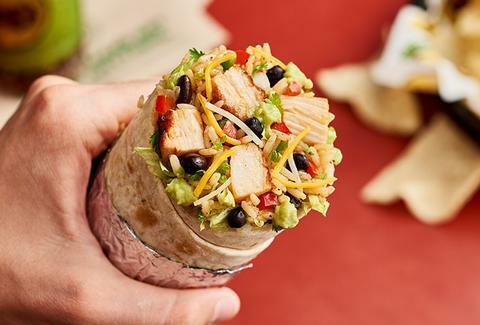 The deal: The fast-casual Mexican chain that's (not-so) secretly more popular than Chipotle is offering $5 burritos for Cinco de Mayo. And, as always, you can pick up free chips and salsa. 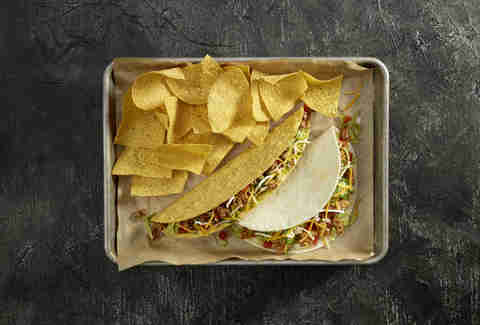 The deal: The Tex-Mex chain is rolling out its $2 menu for the holiday. It includes $2 tacos and $2 Mexican drafts all weekend. 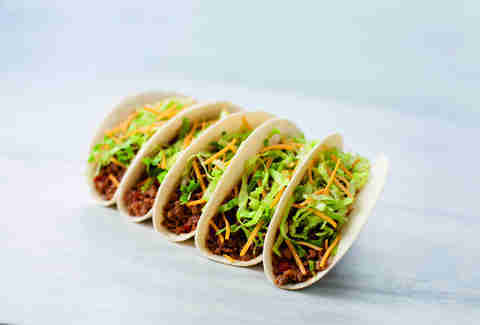 The deal: Grab a crispy made-to-order taco for 79 cents all day Saturday. The deal: At B-Dubs you can grab items from the Sharables menu for $4 and $3 domestic beers in celebration of Cinco de Mayo. There's also the new Hackables menu that doesn't have a discount but does have what are basically nacho wings. The deal: Pizza isn't the first thing you're thinking of when you think Cinco de Mayo, but this deal lasts all week. When you order two one-topping large pizzas for carryout, they're $5.55 each. The deal: Chipotle just announced a massive expansion of its delivery services via DoorDash. All week you can get free delivery with the code "GETCHIPOTLE" in the DoorDash app. The deal: Your friendly neighborhood Applebee's has extended its month of $1 margaritas through May 5 to help you celebrate Cinco de Mayo with fried foods. It has also kicked off a month-long run of $2 Dos Equis. The deal: Get $5 Mexican draft beers in a 22oz cup or margaritas in a souvenir cup for $6.95. The deal: All weekend, you can pick up cheap drinks at Taco Cabana, including $3 margaritas and $4 frozen vodka raspberry lemonade. The deal: On the Border is offering $5 Cinco'Ritas frozen or on the rocks, but just for one day. The deal: The southwest coffee chain is making its Horchata Latte for just $1 from 2pm to close all weekend. More Cinco de Mayo deals? If you know of Cinco de Mayo deals we missed, email us at news@thrillist.com and we'll add 'em here.